Following a proper makeup removal routine is one of the best things you can do for your skin. More often than not, we pay very little attention to the way we take off our makeup after a long day. If you think you can get away with using a couple of wet wipes to remove a full face of makeup, your skin is in big trouble. Want healthy skin? It’s time you consider preparing a makeup remover at home. To make your life easier, we’ve put together 5 DIY makeup removers that work way better than some store-bought ones. A homemade makeup remover won’t burn a hole in your pocket, and you will find most of the ingredients right at home. Check them out! Coconut oil not only smells like a tropical vacay, but it also works brilliantly in breaking up the water-resistant substances found in makeup. It also keeps your skin happily hydrated. However, don’t forget to follow up this makeup remover with a soap and water session for a more thorough cleanse. 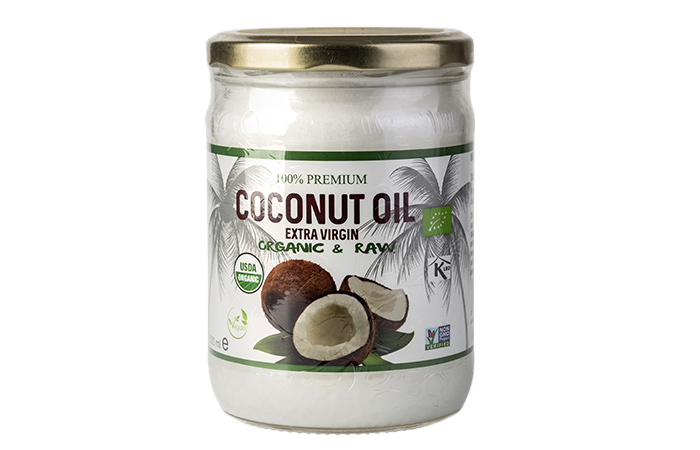 Step 1 : Scoop out a small amount of coconut oil from the jar. If the oil is solid, rub it between your palms until it melts. Step 2 : Gently spread the oil all over your face, eyelids, and lashes. Make sure that there is enough oil to move your fingers around easily without tugging on your skin. Step 3 : Wipe off the excess oil and makeup using a wet wipe. Step 4 : Splash your face with some warm water and wash it with a cleanser. Voila! You’re done. Tip : Massaging oil into your skin in a circular motion is a great way to improve blood circulation in your skin. You can give yourself a face massage whenever you feel like your skin needs some rest. 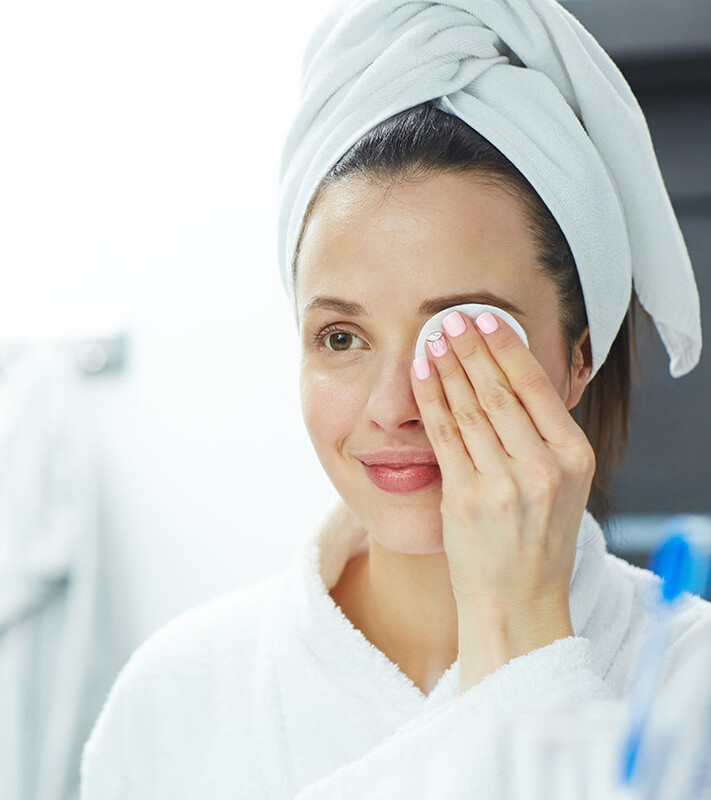 If you just can’t make do without your waterproof mascara (even though you realize how annoying it is to take off), you’ve got to try this DIY waterproof makeup remover made with three gentle ingredients. Step 1 : Pour half a tablespoon of baby shampoo in a clean container. Step 2 : Add one-fourth teaspoon of olive oil and mix it well. Step 3 : Pour in some water to fill the bottle and shake well. Step 4 : Dip a cotton ball into the mixture and gently remove your eye makeup. Tip : For best results, make sure you shake the bottle well each time you use the homemade eye makeup remover. 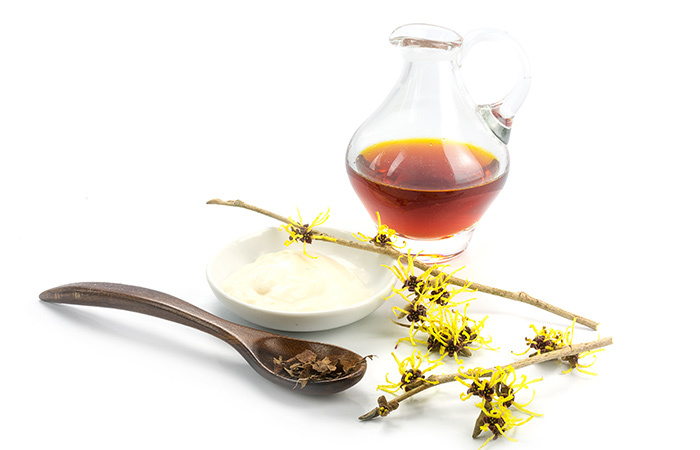 Witch hazel works brilliantly to remove oil- and water-based makeup. It is free of irritating chemicals, making it ideal for not just removing makeup, but also reducing the build-up in your pores. Step 1 : Pour four tablespoons of witch hazel and two tablespoons of sweet almond oil into your bottle. Step 2 : Add two tablespoons of extra virgin olive oil and mix them all. Step 3 : Add three tablespoons of purified water, close the lid of the bottle, and shake well to blend the ingredients. Step 4 : Dip a cotton ball into the solution and wipe your face. Tip : This remover helps in removing stubborn eye makeup like waterproof mascara and eyeshadow. It dissolves the products on your eyelashes effortlessly without causing irritation. 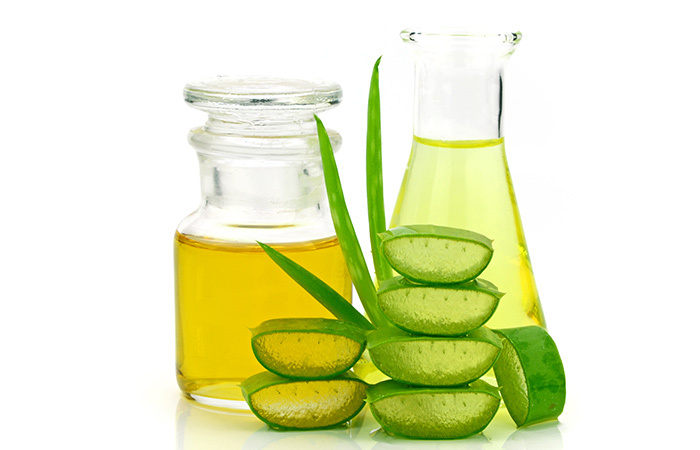 If you want to amp up your cleansing routine, adding some fresh aloe vera water to your favorite oil is the best way to do it. Step 1 : Fill up a bottle with aloe vera water. Step 2 : Add a two-third cup of extra virgin olive oil to the water. You’ll notice that the oil will float above the water. Step 3 : Shake the mixture up, soak a cotton pad with it, and clean up your face. Tip : This formula is incredibly gentle and light. It’s a great option for anyone who has allergies or is sensitive to chemicals. 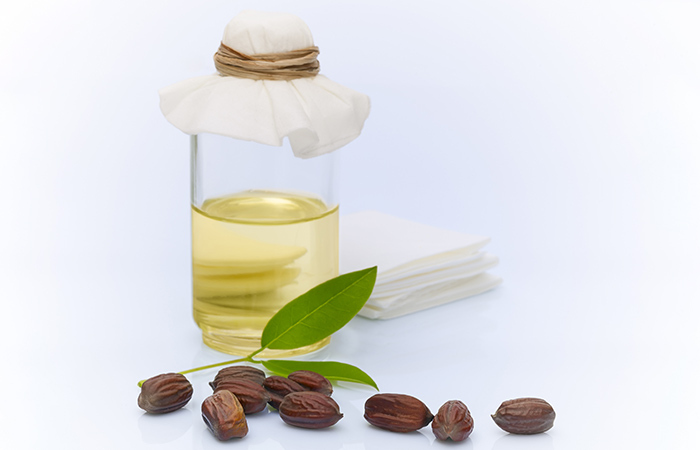 Jojoba oil is one of the best all-natural makeup removers. It moisturizes, nourishes, and soothes your skin, leaving it looking fresh and radiant. Step 1 : Fill up a bottle with rose water. Step 2 : Add half a cup of jojoba oil to the bottle. Step 3 : Shake the bottle well. 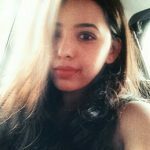 Soak a cotton pad with the solution and remove your makeup effortlessly. Tip : If you’re looking for extra nourishment, you can also add vitamin E oil and sweet almond oil to this recipe. In a world that never stops, we all know the struggle of stumbling home dead tired. But, failing to remove your makeup before bed can cause breakouts, clogged pores, blackheads, and a dull complexion. So, don’t ever skip your makeup removal regimen and give your skin the opportunity to renew itself through the night. Moreover, these DIY makeup removers are a wonderful way to take care of your skin’s natural moisture barrier and ensure it stays hydrated. To top that, they don’t make use of any harsh chemicals. That was our round-up of the five best DIY makeup removers. Which one are you going to try? Let us know in the comments section below.